I was unaware of how popular plastic casks have become over the last few years. The cost benefits over metal are there for all to see. The evening answered any questions I had regarding container strength and being able to see the quality checks on the walk around further put my mind at ease. I am looking forward to the launch of the plastic keg. Despite it being a miserable, foggy night, there was a good attendance for our visit to GPS. A short presentation was followed by a tour of the factory which gave everyone a great insight into the production of GPS products. Our party were particularly interested in the casks, which I am sure will continue to be a viable alternative to stainless steel. I must convey a big thanks to Greg and his team who looked after us for the evening. 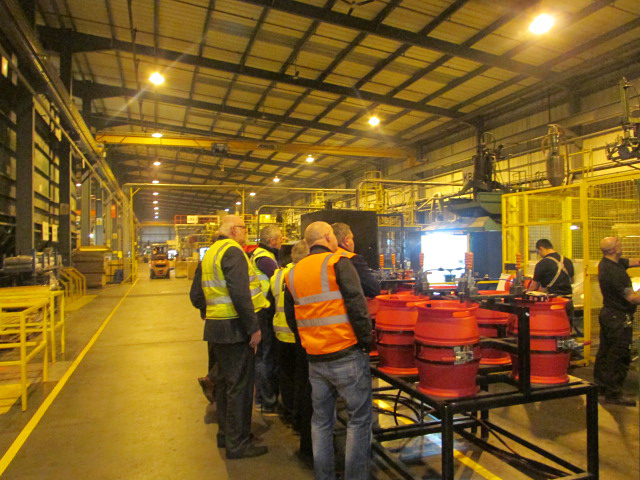 35 members of the IBD Great Northern Section plus guests attended a presentation by Greg Whitehorne, Sales Director of GPS at the Weltonhurst Ltd factory where they produce the current range of plastic casks used extensively now in the micro-brewing sector of the UK brewing industry. The presentation detailed the extensive testing that had gone into the initial design, to ensure it was fully compliant with industry standards, and the rigorous batch testing that was employed throughout the production process. Greg also described the current testing place on the keg products that were going to be introduced onto the market later in the year. He outlined the weight advantages of the materials and the savings breweries could make, not only on the lower capital outlay but on the savings in fuel costs due to the casks being so much lighter than metal. 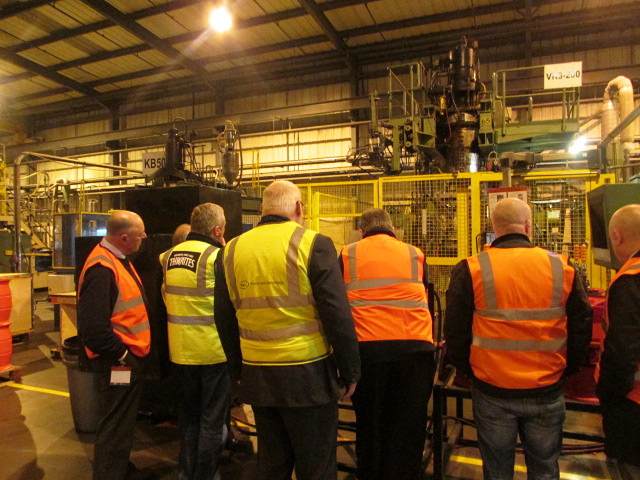 Following the presentation, we were given a guided tour of the factory so that IBD members could see for themselves the manufacture and product testing taking place. The IBD members were very impressed with the speed of the moulding process and the how quickly the casks were assembled and inspected ready for despatch. It is fair to say that by the end of the evening, the brewers and engineers present were very pleased with what they had seen and heard and one IBD member was overheard saying that "in 80 years we have gone from a Cooper making one to two wooden casks per day up to two to three metal casks per hour to now to making a complete cask in just eight minutes, that’s progress". They are inexpensive alternative to metal containers, manufactured from biologically inert and taint-free materials, and work with standard racking, dispensing equipment and pressures. 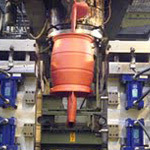 They are compatible with the automated mechanical handling aids and filling equipment. They can be cleaned and sanitised with Holchem’s range of Keg and Cask Hygiene Chemicals.